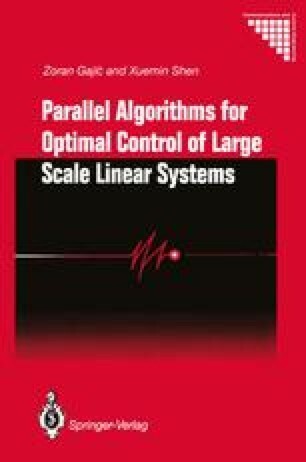 In this chapter, we present a parallel synchronous algorithm for solving the Nash differential game of weakly coupled linear systems. The singularly perturbed Nash differential games have been studied by several researchers (Gardner and Cruz, 1978; Khalil and Kokotovic, 1979c; Khalil, 1980a, 1980b). However, no algorithm has been proposed for solving the coupled algebraic Riccati equations of the singularly perturbed systems whose solutions comprise the required Nash strategies. That is why, we limit our study to the weakly coupled systems only.